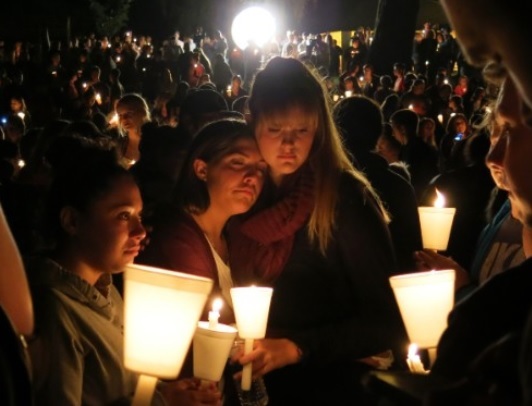 What has been a bone of contention for concerned Christians in both Salem and Portland for the past several years has ended. In a recent web newsletter, Planned Parenthood of Willamette-Columbia announced that its five-year federal grant funding its Teen Outreach Program (TOP) in about 10 Oregon high schools has ended. According to the newsletter, more than 4,300 students participated in the pregnancy prevention program over those five years, and 91 percent of them say that the program’s service projects have had a positive impact on them or others. 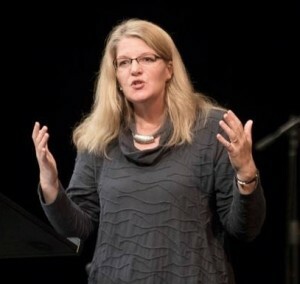 Sarah C. Williams, D.Phil. (Oxford), presented a Caulkins Lecture at Morning Star Community Church in Salem at the invitation of Corban’s new Dean of Christian Formation and Engagement, Leslie Herrmann. The subject of the 2-hour interactive tour de force was “Sexuality in the Post-Modern Story.” It was the second of three public lectures in which Williams explores and challenges the link between our contemporary culture of commodification and ideas of personhood, choice, marriage and sexuality. Williams serves as Research Professor of the History of Christianity at Regent College, Vancouver, B. C. A specialist in the field of nineteenth- and twentieth-century social and cultural history, she focuses her research on the relationship between religion and culture. Evangelicals changing death penalty views? The National Association of Evangelicals (NAE) has revised its previous support for capital punishment in favor of citing Evangelicals on both sides. A recent poll says 71 percent of white Evangelicals, who comprise the vast majority of NAE’s constituency, support capital punishment, the strongest margin in any major religious group. “We affirm the conscientious commitment of both streams of Christian ethical thought,” the recent NAE resolution declared. While the NAE affirmed both sides on the issue of capital punishment, it did not affirm multiple perspectives on other political topics it has addressed including opposing nuclear deterrence and favoring legalizing illegal immigrants. Yet like many Americans I like his filter-lite pronouncements and his indignation toward political correctness. He expresses the exasperation many Americans feel, including mine. If his radioactive persona ended there, he would still be a “Loud American,” which can be refreshing but also grating over time. But The Donald doesn’t end there. It’s his hubris — often mistaken for confidence — and his disdain and contempt toward others that make him Exhibit A for bullying, a character trait that is tearing America apart. Last May, Pope Francis spoke about allegations that the bishop of Osorno, Chile, Juan Barros, was complicit in a crime of priestly sexual abuse. The bishop, who was installed in March, has come under fire for covering up the abuses of Father Fernando Karadima. The priest was found guilty by the Vatican in 2011; the following year a Chilean court dismissed claims against him because the statute of limitations had expired. 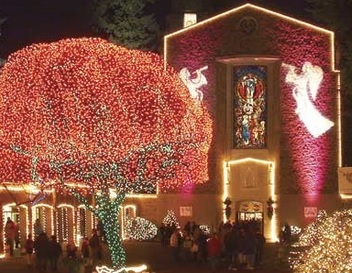 Portland Public Schools this month banned school choirs from singing at a Portland Catholic nature retreat called The Grotto. A complaint from the Freedom from Religion Foundation said the venue was sending too much of a religious message and their letter triggered the ban. Here are different voices on the Grotto school choir ban. There are over 130 marijuana businesses being created in Portland, more than can possible sustain the expected population according to experts. This will create a one-time frenzy and a significant reshaping of the industry over the next few seasons. KGW-TV reports on this in the video clip below. 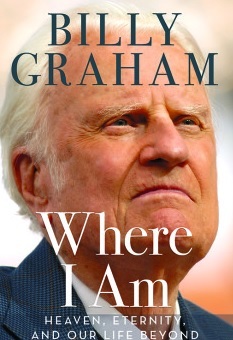 Billy Graham has released his final book at a very noticeable age of 96 years old. The book is called “Where I am. Heaven, Eternity and Our Lives Beyond”. 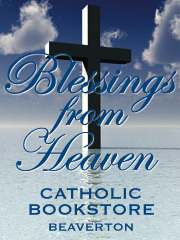 The book spends considerable amount of time on the subject of hell — surprise considering the numerous best-sellers of books on Heaven that made headlines in the past few years. Below is an interview with his son Franklin Graham on Fox News TV. Franklin speaks on how the book came about. Pastor Randy Scoggins of New Beginnings Church of God told his congregation that his daughter, Lacey Scroggins, is alive today due to the heroic acts of a fellow student during the shooting. That student, Trevan Aunsbach, was shot but still was able to move his injured body to shield the woman next him who was Lacey. It was Trevan’s last act which helped the gunman to overlook Lacey lying on the floor. Lacey could feel the blood from Trevan on her back and credits his action for saving her life.